An Off-Broadway theatre is a professional venue in Manhattan with a seating capacity between 100 and 499. 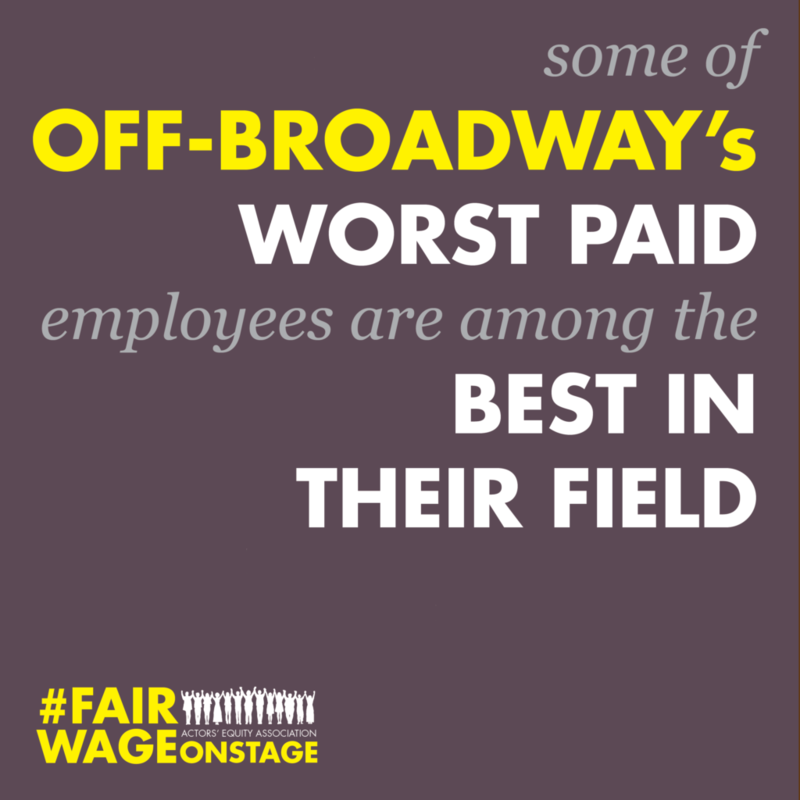 It includes several nonprofit theaters and more than 100 commercial employers. whose annual operating budgets average $2 million. 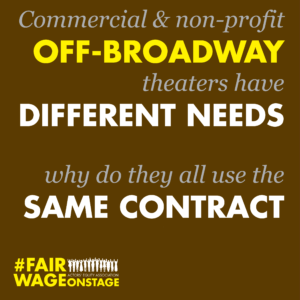 These two contracts were negotiated separately, in recognition that smaller theaters with more limited resources would benefit from a flexible salary structure that would encourage their growth. 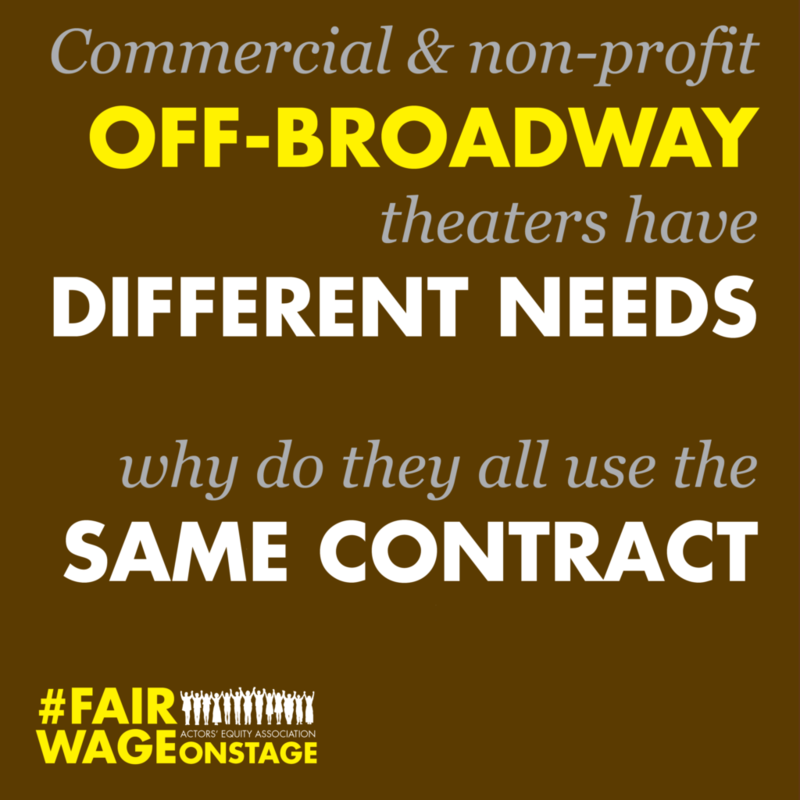 Rather than continue this arrangement, ANTC theaters have recently chosen to join the Off-Broadway Contract negotiations. 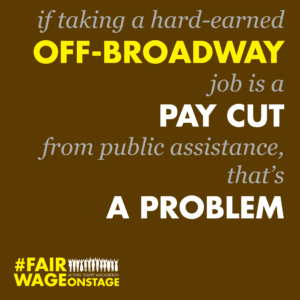 We strongly believe that this “one size fits all” approach — in which a $1 million theater and a $41 million theater would be held to the same salary structure — does a disservice to all parties. 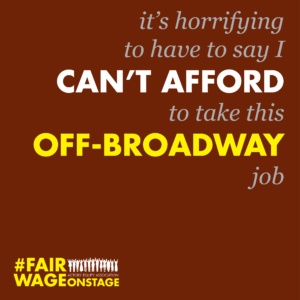 How much do Off-Broadway actors and stage managers make? 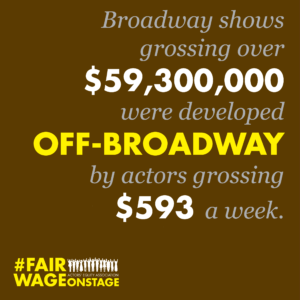 63% of work Off-Broadway happens in theaters with up to 199 seats, which currently pays $593 per week. 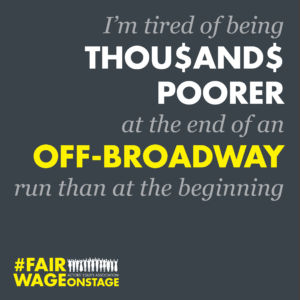 In an 8-performance week that's $74.13 per performance before taxes. 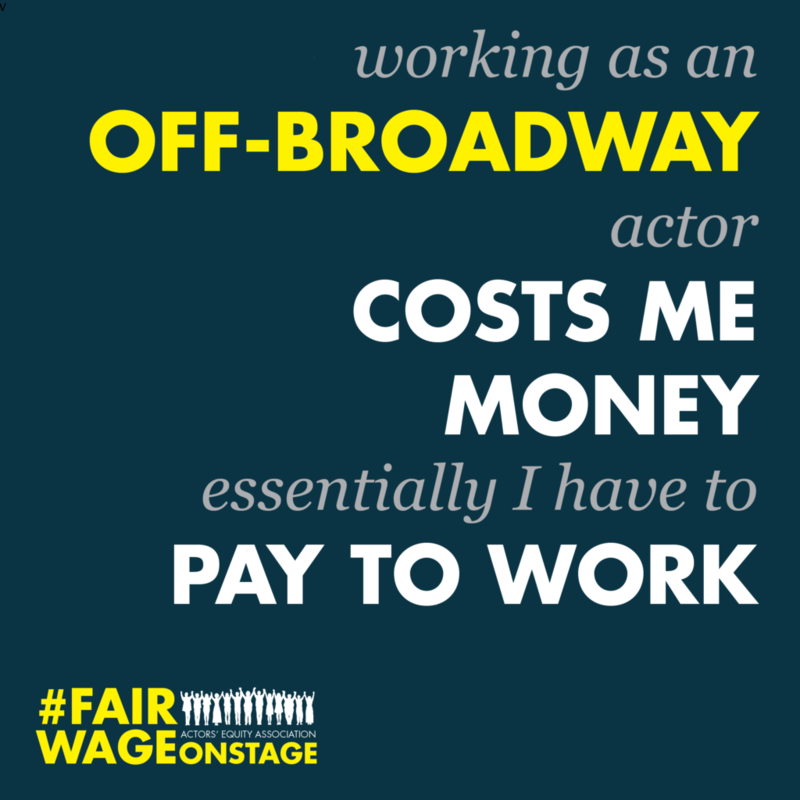 Assuming an actor takes home 70% of his or her paycheck, it works out to $51.89 net per performance or $415 per week. 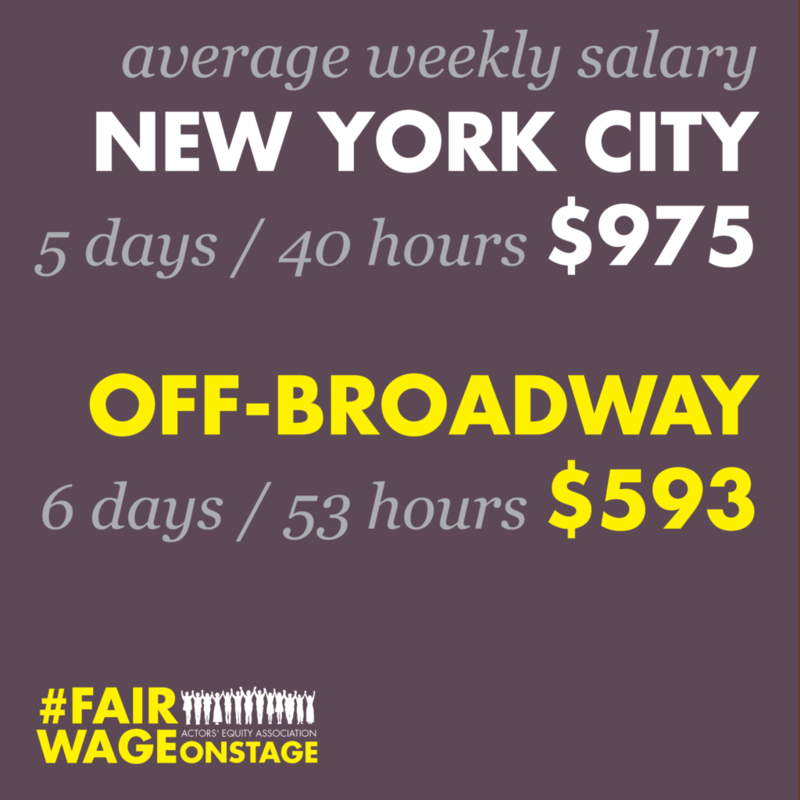 ANTC theaters pay actors even less — anywhere from from $361 to $598 per week. For context, New York Unemployment Insurance benefits pay $430 per week. 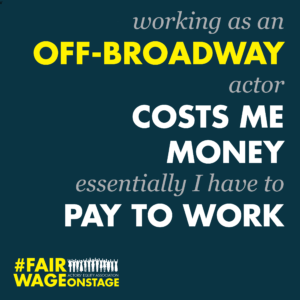 Furthermore, all stage managers and actors have 2.25% in union dues deducted from their paychecks every week, and actors have agents (a necessity, not a luxury) who deduct 10% from their paychecks for commission. So most Equity members have 12.25% deducted from their pay before taxes and then are taxed on the gross. 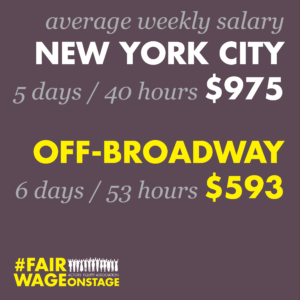 During a normal Off-Broadway work week, our members work 40-64 hours with only 1 day off. 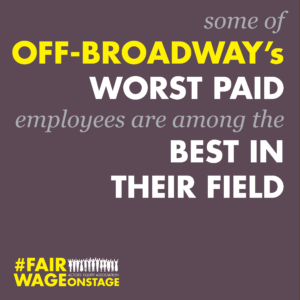 This doesn't include the time that actors, and especially stage managers, are expected to spend working on a show outside of rehearsal and performances. 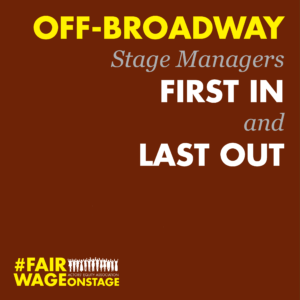 This includes (but is not limited to) paperwork and meetings for stage managers and line memorization and character analysis for actors. Our members are not hobbyists. 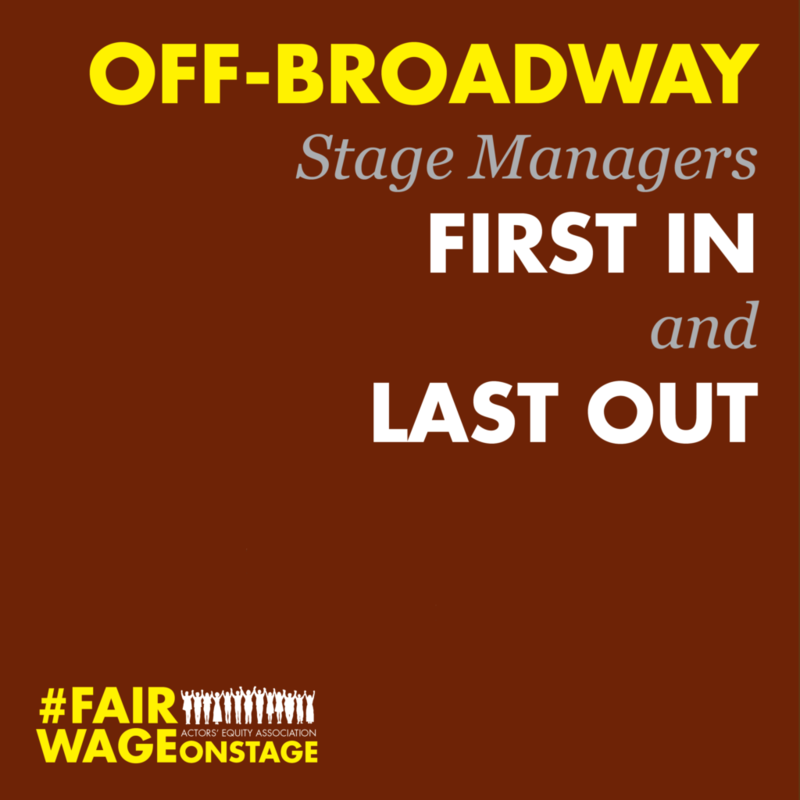 They are highly trained and skilled professionals, many carrying multiple bachelors, masters and even doctorate degrees; a degree is often necessary even to be considered for Off-Broadway employment. Wait! 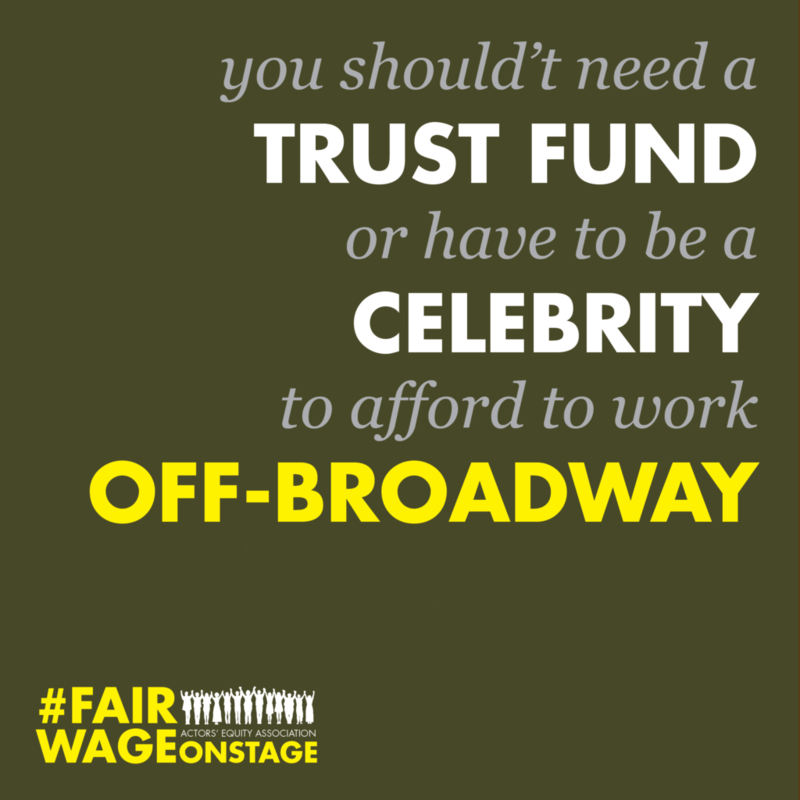 So Off-Broadway has commercial producers AND nonprofit theaters operating under the same contract? Yes. 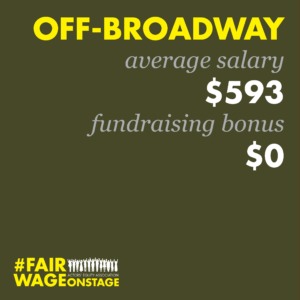 Nonprofit and commercial theaters currently both use the same salary model. But the business models are entirely different. 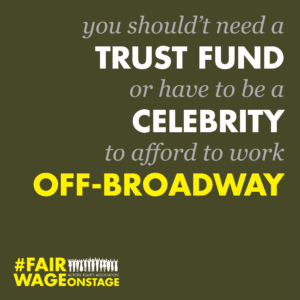 Nonprofit theaters have many opportunities for unearned income or in-kind contributions that sustain their programming. 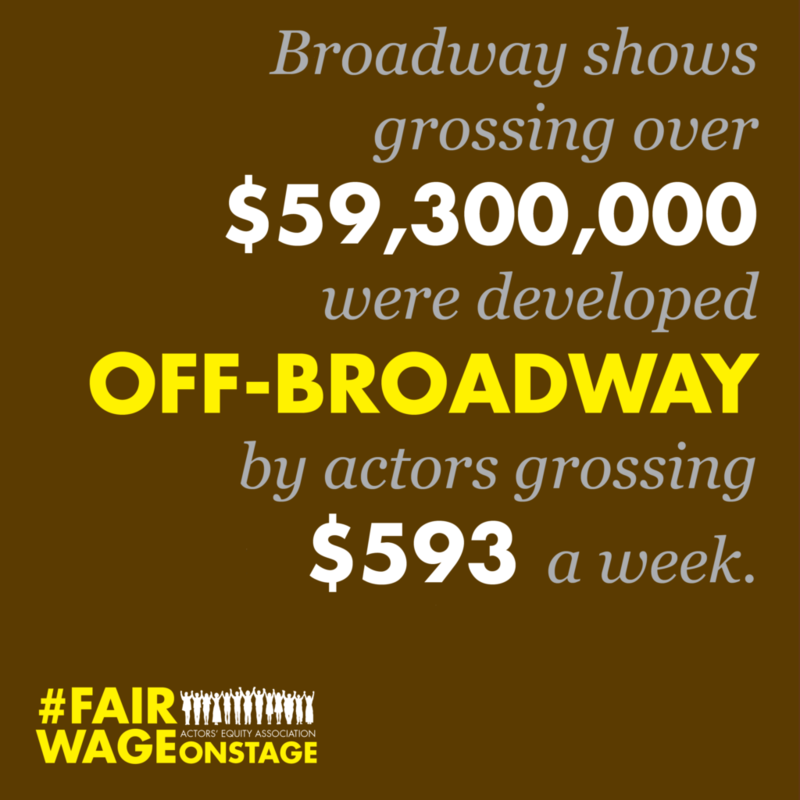 Commercial theaters rely entirely on producer investments and box office income to sustain a production. 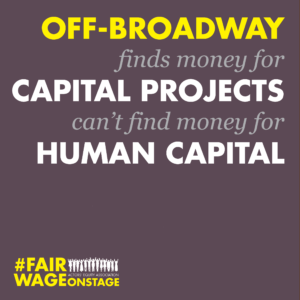 Even within just the nonprofit Off-Broadway world, there is an enormous range of operating budgets, from $1 to $41 million. 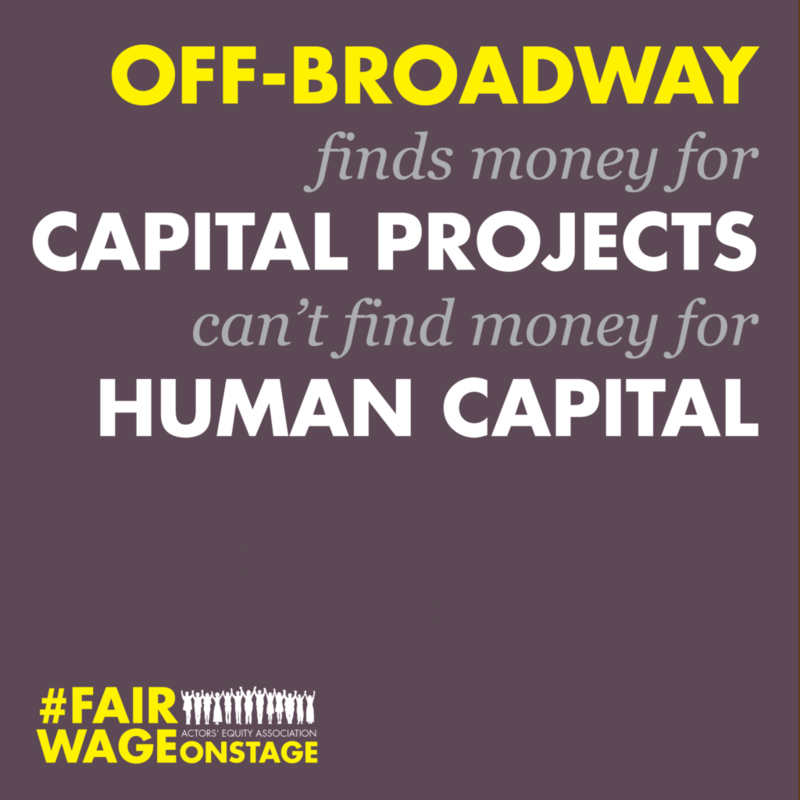 But it can't be easy finding funding for the theaters, right? For many years, we have prioritized our employers’ goals, generously supporting their growth, and they have enthusiastically accepted our help. 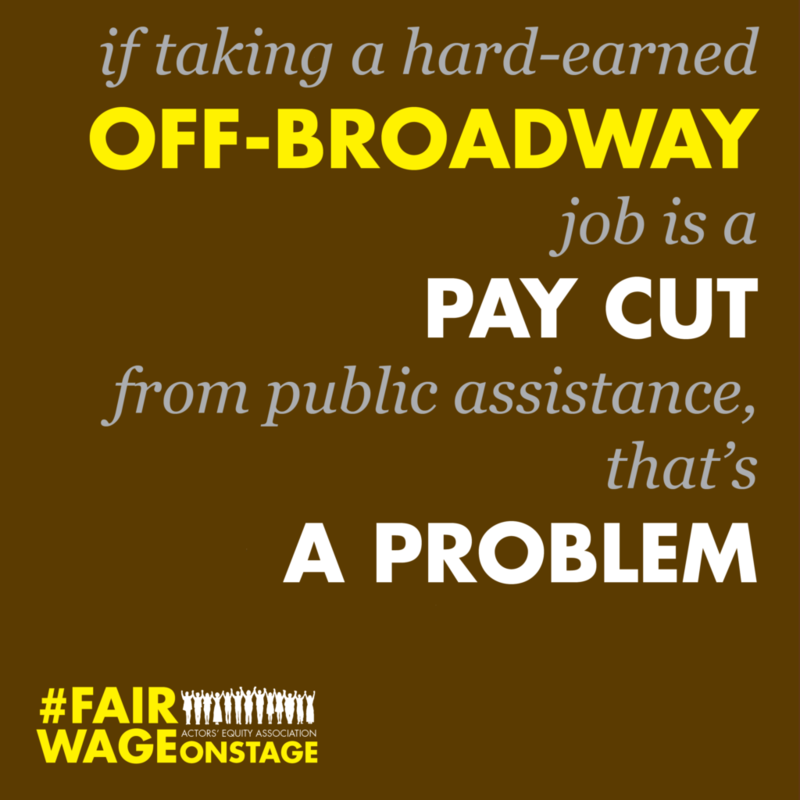 In 2008, the Off-Broadway League asked Actors’ Equity for a wage freeze. Because of the financial climate at the time, we supported a one-year freeze out of respect to our employers. 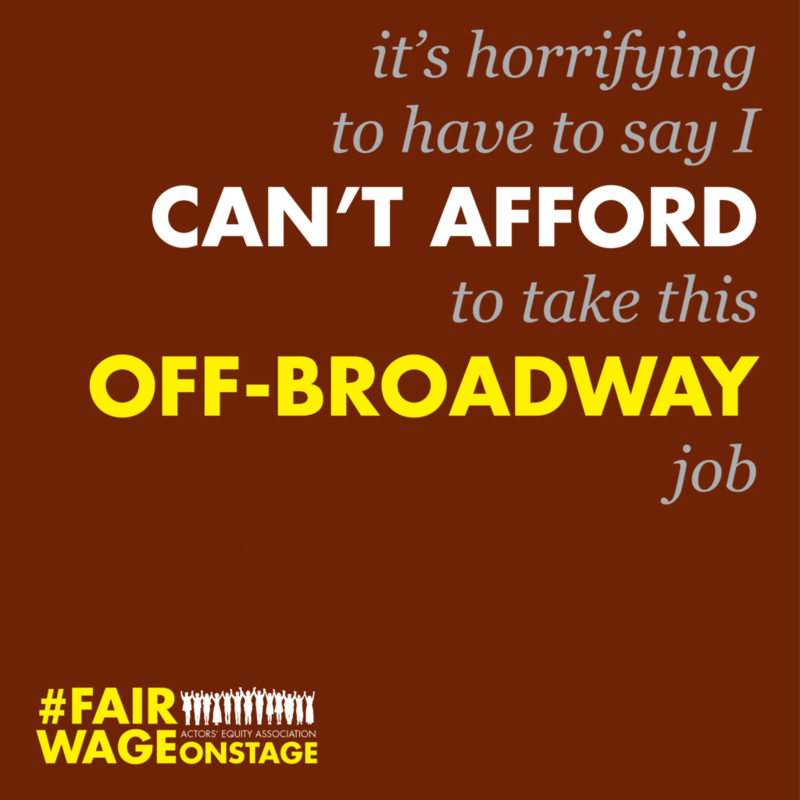 We now ask that they prioritize a fair and living wage for the artists who are their very foundation. 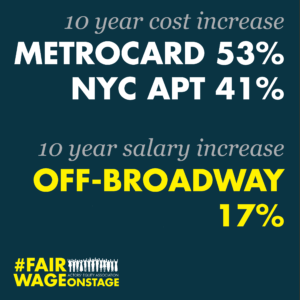 Can you compare NYC cost-of-living increases with Off-Broadway salaries? 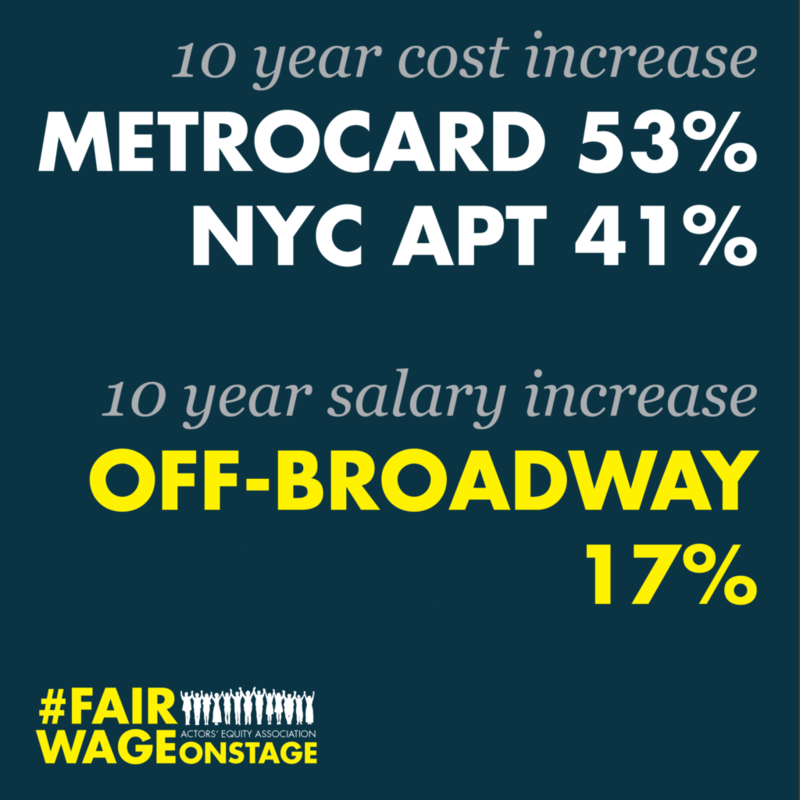 Since 2006, the cost of an apartment in New York City has increased 41.4% and a 30-day Metrocard has increased 53.3%. Since 2006, the Off-Broadway salary has increased only 17.2%. Most of our members are now only paid $593 a week. Have Off-Broadway theaters produced anything I might have heard of? 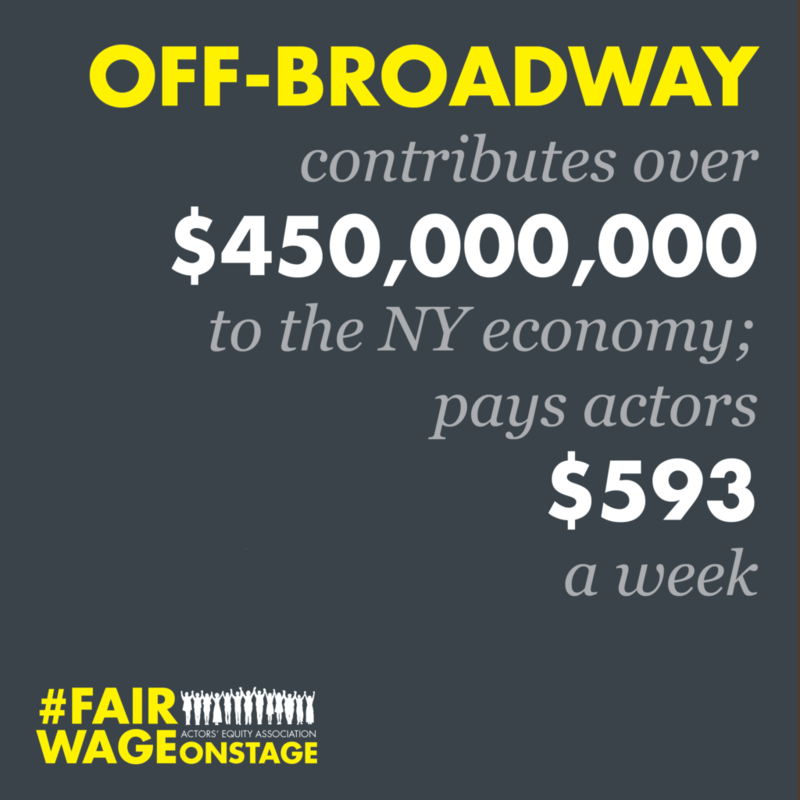 How much does Off-Broadway contribute to our local economy? 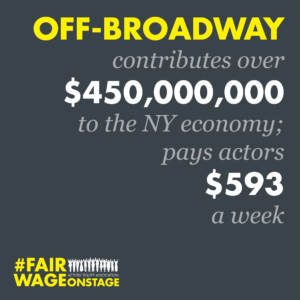 According to The Off-Broadway Alliance (an employer organization), in their most recent study, Off-Broadway theatre contributed $461 million to the local New York economy in the 2007-08 theatrical season. 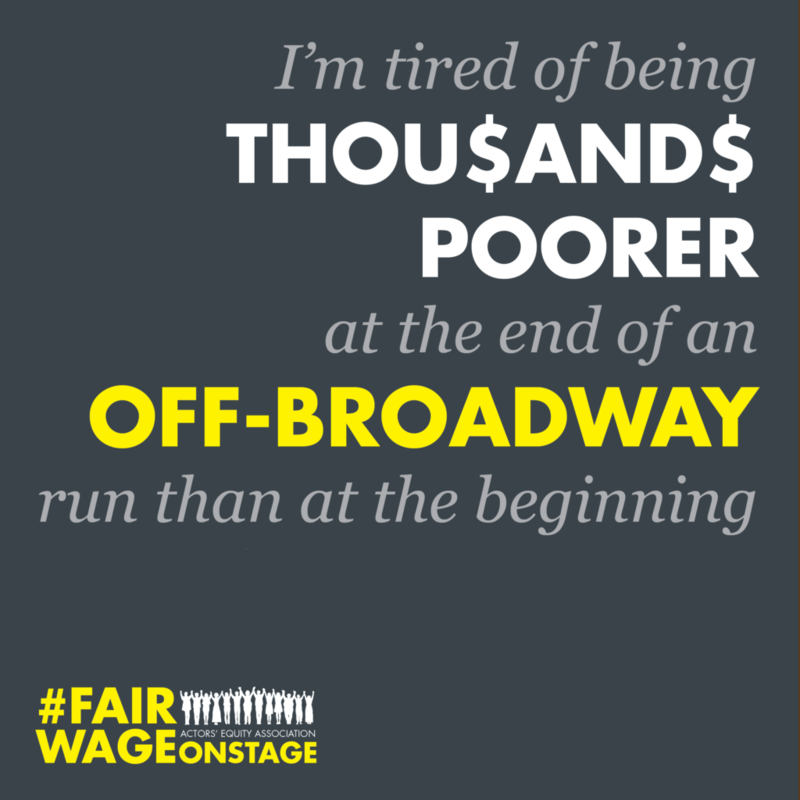 It’s time to acknowledge our contribution to the community at large with a fair wage.